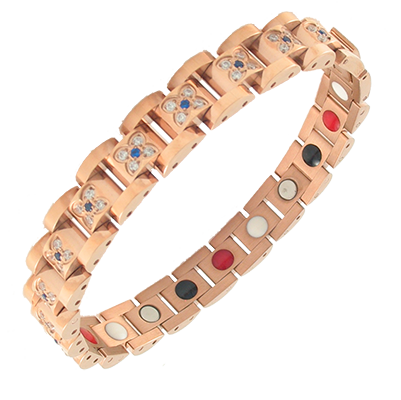 Butterfly Swarovski Rose Gold Crystal Bracelet, manufactured using true Swarovski crystal elements in a butterfly design with one blue crystal surrounded by 4 clear. 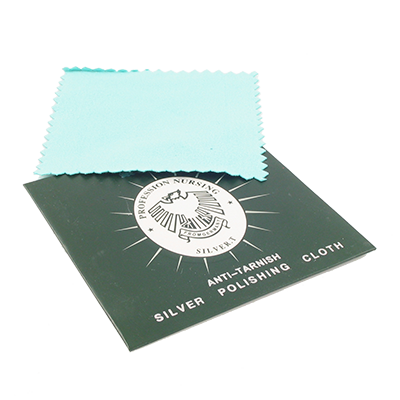 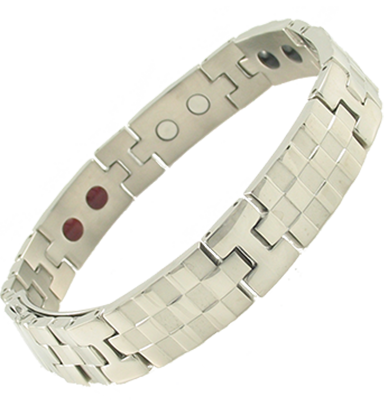 Non-allergic 316L stainless steel which means no Nichol, cadmium or lead was used in the manufacture of the steel. 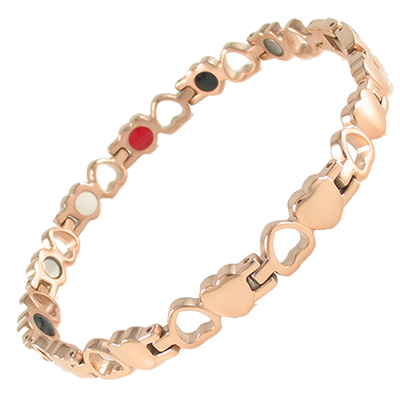 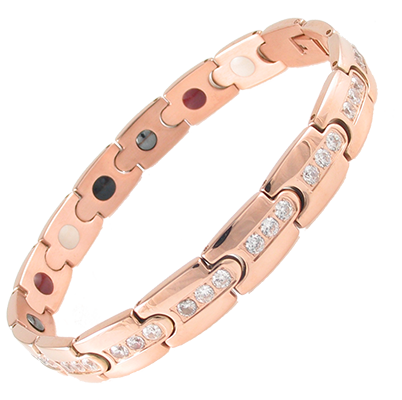 The gleaming hand polished Ip plated rose gold finish which will not tarnish under normal wear conditions, gives this fashion bracelet its luxurious appeal, with each segment holding the Swarovski Crystal elements securely glued into place with a 100% guaranteed to never fall out. 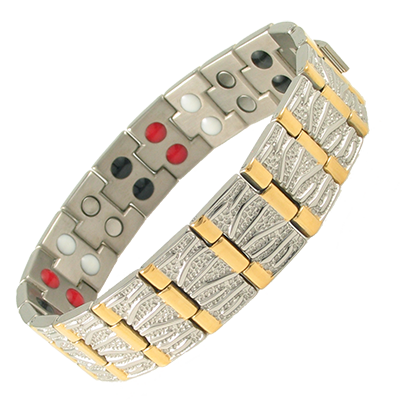 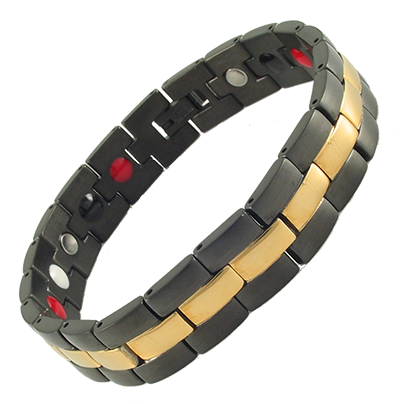 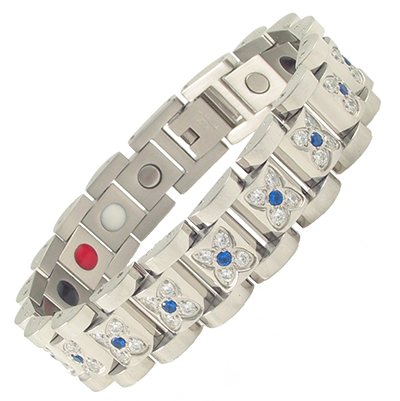 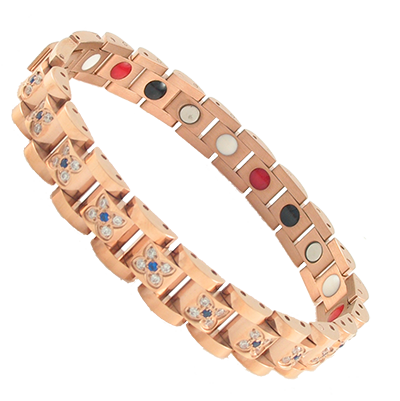 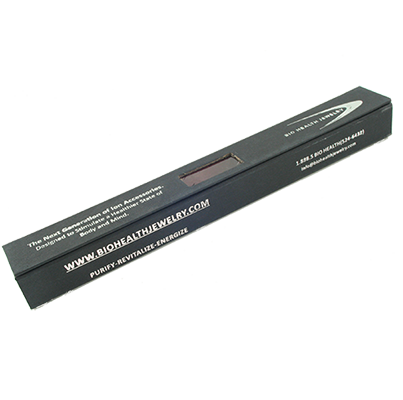 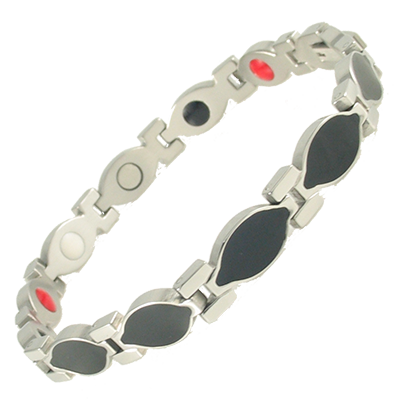 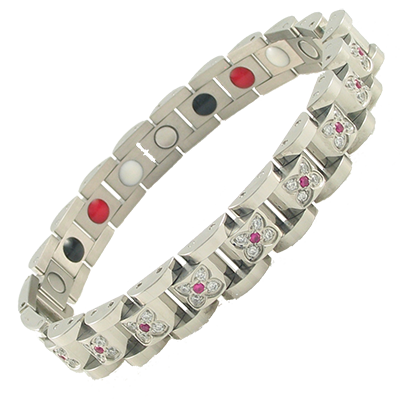 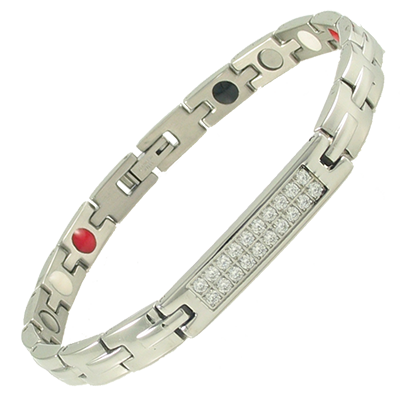 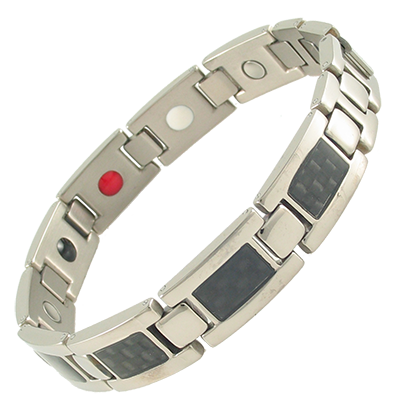 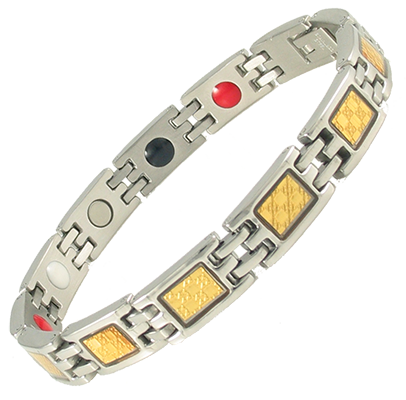 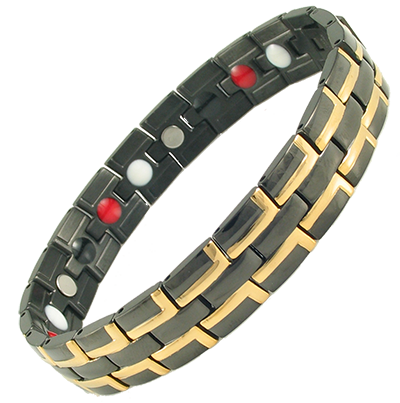 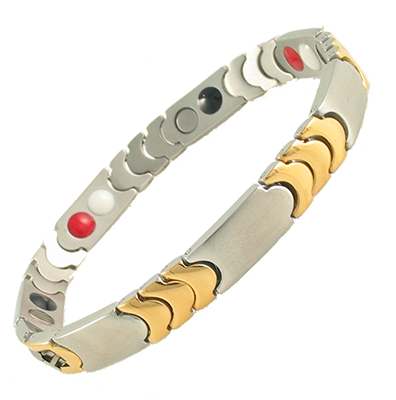 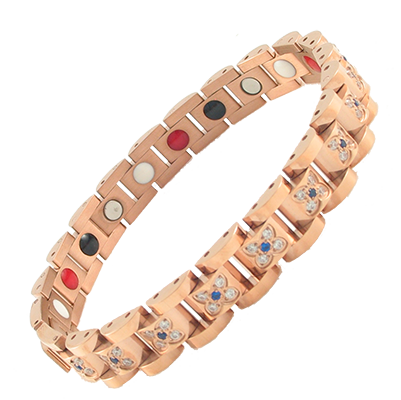 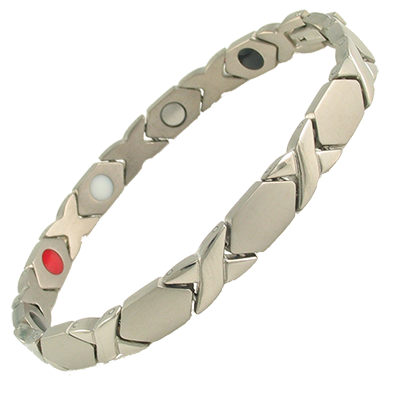 These magnetic therapy bracelets combine the best technology in Negative ion and far-infrared technology with the use of germanium and neodymium magnets to acquire 40% more gauss per magnet. 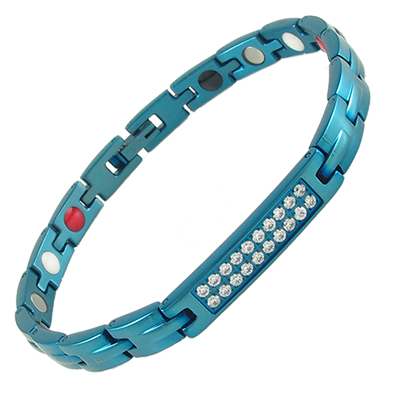 Enjoy this beautiful bracelet in all its gleaming beauty with the natural therapeutic powers for a healthier body and mind.